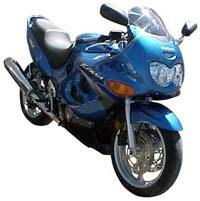 Thebikeauction.com also offers more Honda motorcycle performance parts and aftermarket accessories than any other site on the web! Thebikeauction.com´s goal is a big one. They are trying to get every motorcycle, ATV, watercraft and snowmobile built between 1980 and 2002 uploaded onto Thebikeauction.com. This is a huge goal! Hundreds of units, thousands of schematics, millions of motorcycle parts and tons of motorcycle accessories too!